From Early Music America: The Case Western Reserve University Baroque ensemble will perform as part of Early Music America’s Young Performers Festival, May 24-26, 2018, as part of the Bloomington Early Music Festival. The CWRU Baroque Chamber Ensembles, Dr. Julie Andrijeski, Director, are open to undergraduate and graduate music students at CWRU and the Cleveland Institute of Music (CIM) with a serious interest in performing 17th– and 18th-century music on historical instruments. Diverse groups (4-6 per semester) ranging in size from three to eight players meet one to two hours per week to explore repertoire ranging from the late 16th century to ca. 1800. The ensembles generally perform one or two concerts per semester. 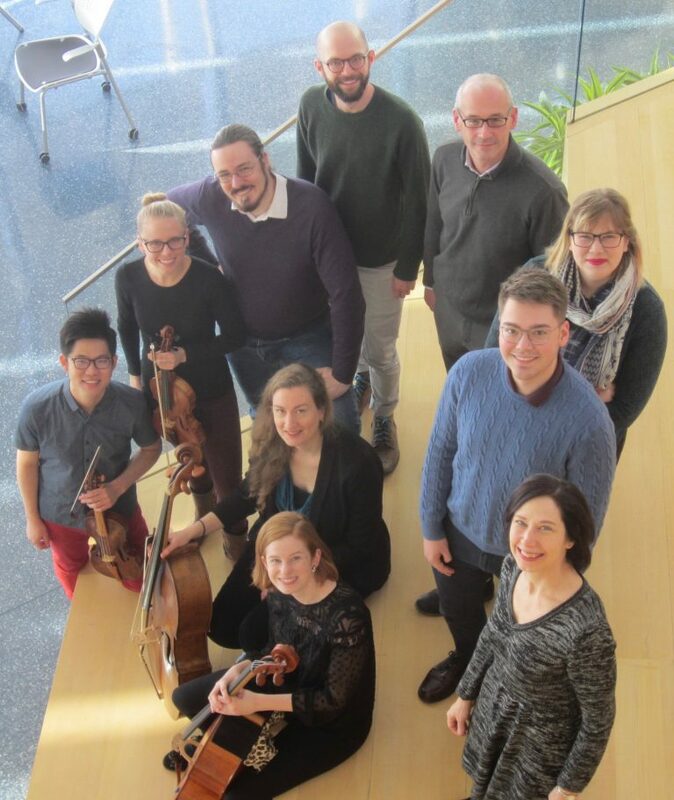 Oftentimes the chamber ensembles collaborate in larger projects with other CWRU ensembles such as the Baroque Orchestra, Collegium, and the Baroque Dance Ensemble. This year, the ensembles focused on several special projects that explored various historical pitches, from 392 to 430 to 466, depending on the repertoire. Read more at Early Music America.